Lots of fun at The Yarn and Fiber Company! 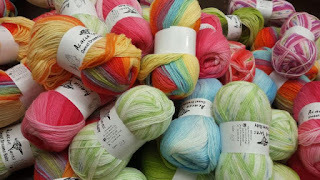 Yarn, yarn and more yarn has arrived from Ivy Brambles and Plymouth Yarns this week! 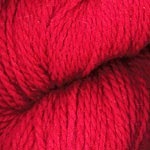 Ivy Brambles Silky Merino Light has been restock in a plethora of colors! Everything from Elegant Black to Deep Sea graces the hooks! 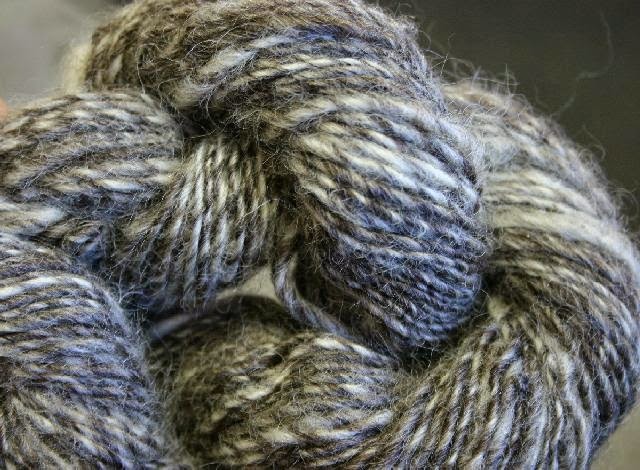 Silky Merino Light is a gorgeous and super soft elegant yarn that is a pleasure to use. Silky Merino Light has magnificent drape and works up to a sport/dk gauge - perfect for light sweaters, shawls, and scarves. Be spoiled with this 50/50 blend of mulberry silk and merino wool - 384 yards of hand-dyed yarn per skein takes your project to new levels of perfection. 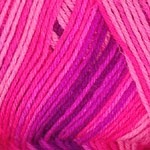 And, there are lots and lots of skeins of Romantica in all your favorite colors! 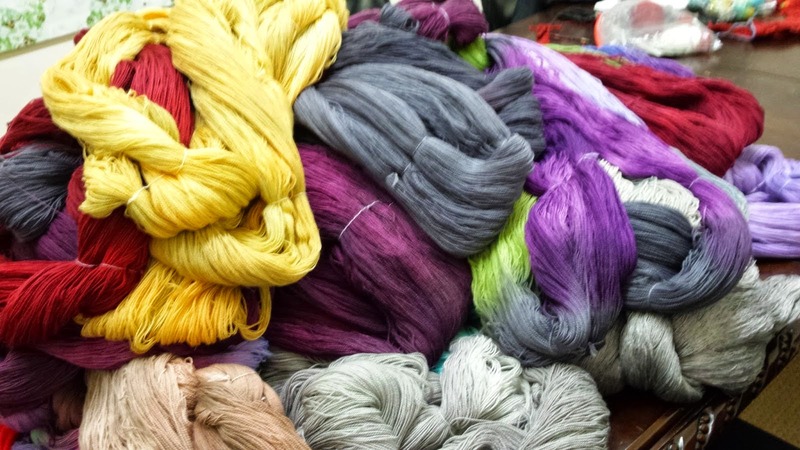 Lots of beautiful color at The Yarn and Fiber Company to combat the bleak and weary colors of winter. Also in and unpacked, a huge restock of all your favorite yarns from Plymouth Yarns and many new favorites! All colors of Mushishi Yarn, Gina Yarn, Happy Feet Sock Yarn, and over 50 shades of Baby Alpaca Grande Yarn and Encore Worsted and DK have returned for your late winter projects. New yarns include all shades of Plymouth Homestead, a gorgeous 100% highland wool in aran weight, perfect for winter sweaters and accessories! Also new, and available in all colors, is Gina Chunky.....and many more! 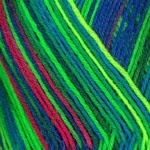 Oh, and did I mention the NEON NOW Sock yarn..... so bright you need shades! 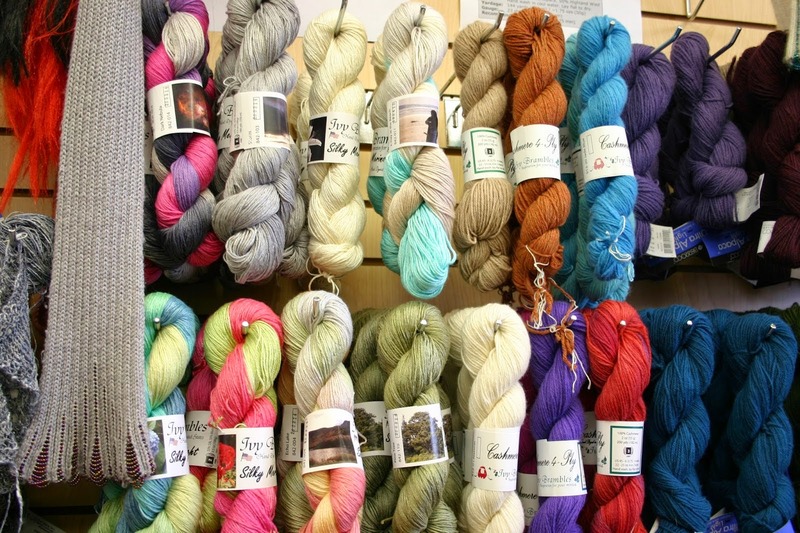 From lace weight to super-bulky yarns, fibers to buttons, our shelves are stuffed! Check us out online or come in to touch all the pretty! 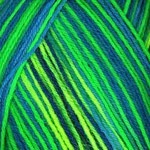 New Self Striping Ivy Brambles Romantica Lace Yarn Has Been Created for Your Next Lace Project!!!! Wow! Look what just arrived! 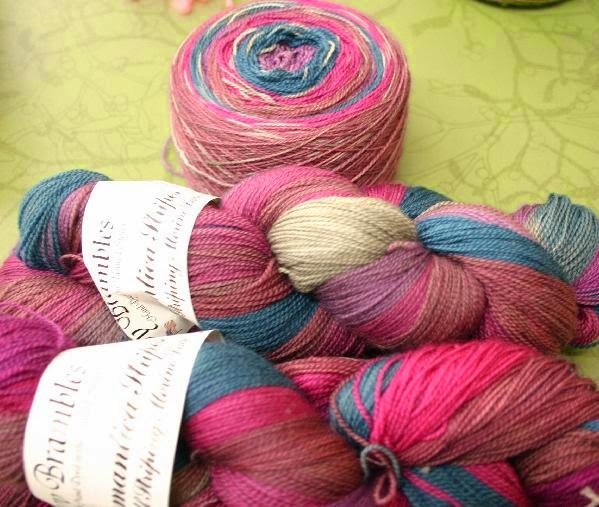 Ivy Brambles Romantica Yarn is now available in New Self-Striping Colorways! New colors include Hummingbird, Macaw and Blue Primrose. Each skein of Romantica Yarn is 1000 yards of beautiful Superwash Merino. 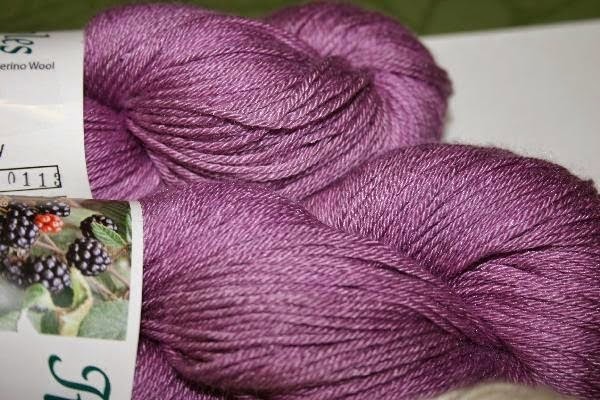 Super soft, super fine micron Superwash Merino is the perfect yarn for your lace projects! One skein usually makes a lace shawl; two skeins for a large circular or square shawl. All of the Romantica colors, including the new Self-Striping colors, are now in the shop and also available online..... come check out these beautiful new colors either in store or online and don't forget to check out the huge selection of Ivy Brambles shawl patterns written specifically for our assorted lace yarns, as well as many more lace shawl patterns that are now available on the Inspiration page on our website and we have a growing selection of lace shawl patterns in the shop. Enjoy these new colors as well as the many existing colors! If you need coordinating colors for a project, feel free to give us a call... we are happy to assist in your color selection. Cabin fever? Come inside and indulge yourself in color and wrap up in a new warm project today! Wrap you hands in a new pair of Nancy Warm and Fuzzy Mittens. 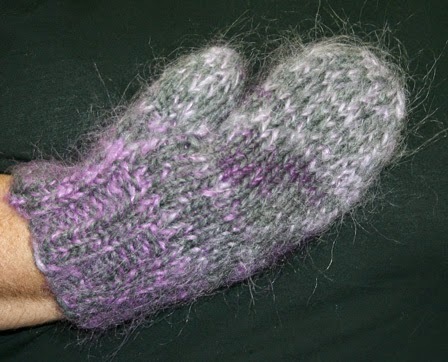 Easy to make and perfect for the cold month of February, these mittens will keep you toasty from start to finish. 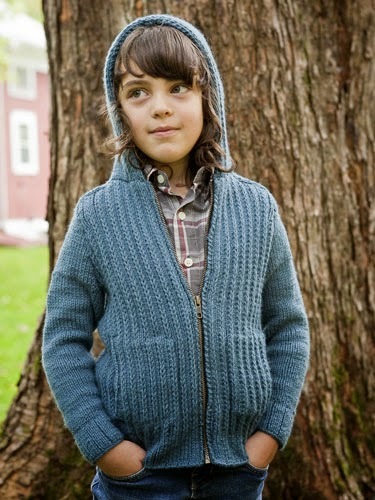 Choose two of your favorite worsted yarns and cast them on your needles. The choices are endless! We chose to use Ivy Brambles Superwash Merino Yarn with Acacia Yarns Mohair Stripes Yarn - yardage-wise, this is enough to for two pairs of mittens in a woman size. 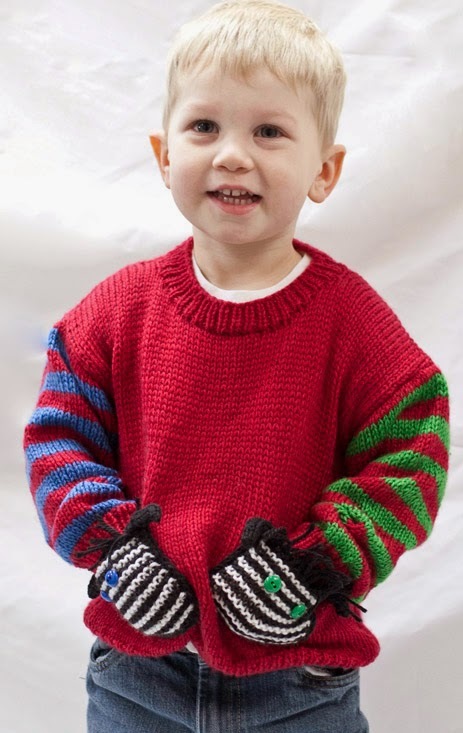 Pattern is written for Child, Women and Man sizes so everyone in the family can enjoy these warm mittens! Other combos of yarn include, Berroco Vintage with Acacia Kid Mohair, Cascade 220 with Classic Elite La Gran, and Prism Symphony with Filatura Di Crosa Superior and many, many, many more! 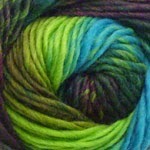 We just restocked two of easy care yarn lines. Berroco Vintage Wool in all your favorite colors and Cascade Cherub Aran for beautiful easy care projects! Berroco Vintage Wool is a machine wash wool-rich blend features a wide color range, an incredibly soft feel and yardage that goes on and on. Its unique fiber blend makes laundering a breeze and perfectly suited for easy care garments for both children and adults. Each 100 gram skein of Berroco Vintage Wool is 217 yards of a worsted weight yarn. Cherub Aran is a perfect everyday yarn that is both super-soft and available in a variety of beautiful colors! Cherub Aran yarn is a 50 microfiber/50 nylon blend available in 100 gram skeins of 240 yards of worsted weight yarn. New patterns are added daily making it easy to find your new favorite projects. We have them sorted in special binders in the shop by project type, or simply use our Inspiration page on our website. 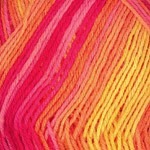 Put some color in your life and curl up with a new project on your needles or hook today!